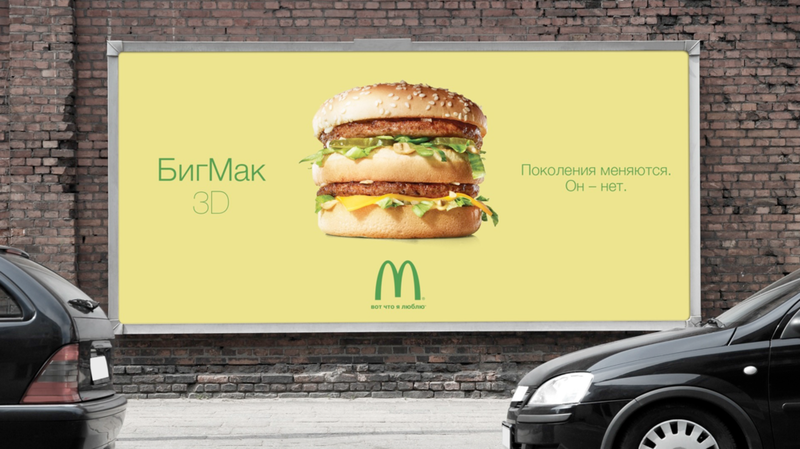 Concept work proposed to celebrate the anniversary of the legendary BigMac. I did the creative direction mostly as well as a few design touches. 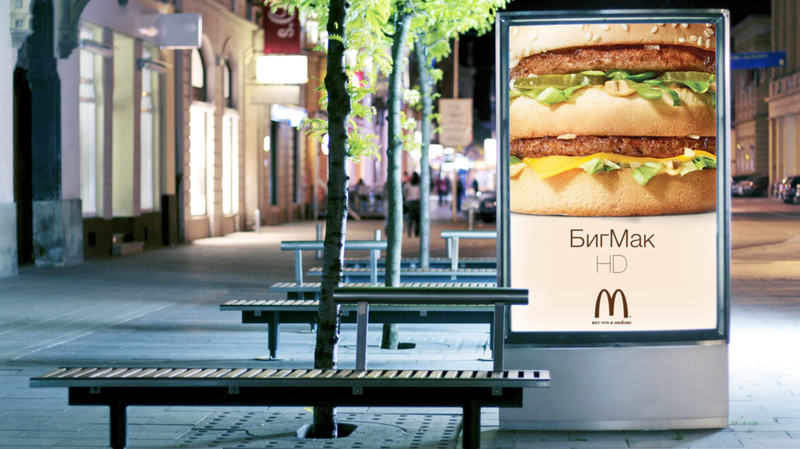 Art director was Ilya Pryamilov and copywriter was Vasily Gubin. 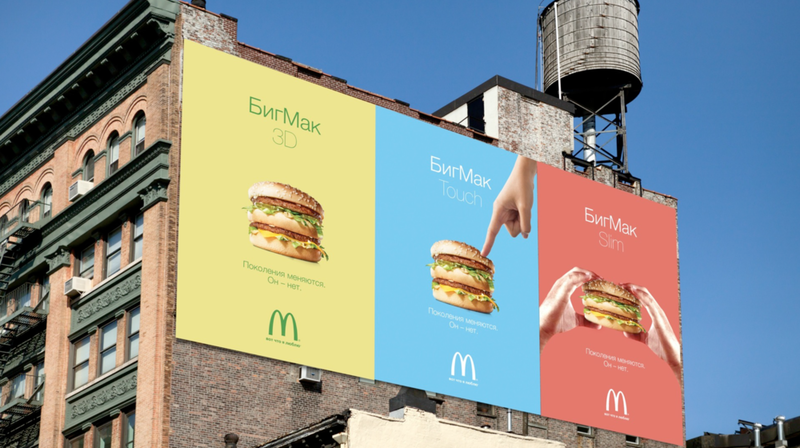 The idea works off notion that trends come and go yet the BigMac stays the same. Suggesting that it's already, well, perfect.